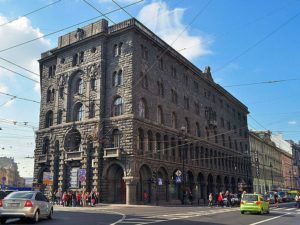 The luxurious hotel Jumeirah is promised to open at Nevsky, 7, at the end of 2019. The former central ticket offices of Aeroflot will turn into an elite hotel. It will be managed by the hotel operator from Dubai. The project was announced in 2010. After that, the date of completion of project was repeatedly transferred. November 8, it became known that the project was bought by the head of the Irkutsk Oil Company Nikolai Buynov – 45th in the list of the wealthiest businessmen of Russia, with $ 2.2 billion of wealth. As the media reported, together with his partners he bought 68% of the project.